Join me today as I share my thoughts on ways to thrive when your leisure time expands. I discuss these concepts on Sue’s lovely blog as part of her Over 50 & Thriving Guest Series. Thriving at midlife is a concept our parents and grandparents probably didn’t think about. Baby Boomers today have so many more choices in the 21st century with meaningful careers, healthy leisure lifestyles, a variety of second acts, and satisfying retirement. 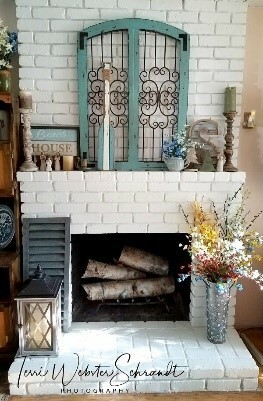 Come on over to Sizzling Towards Sixty to read the rest and you can see what I did for my summer decorating project! Three great choices Terri – headed to the rest now. It looks like you have your comment section up and running again. Yay, you! Headed over to Sue’s now. Yes, yay! And thanks, Janis! Oh, yay…I can comment again!! I can’t wait to read this…..